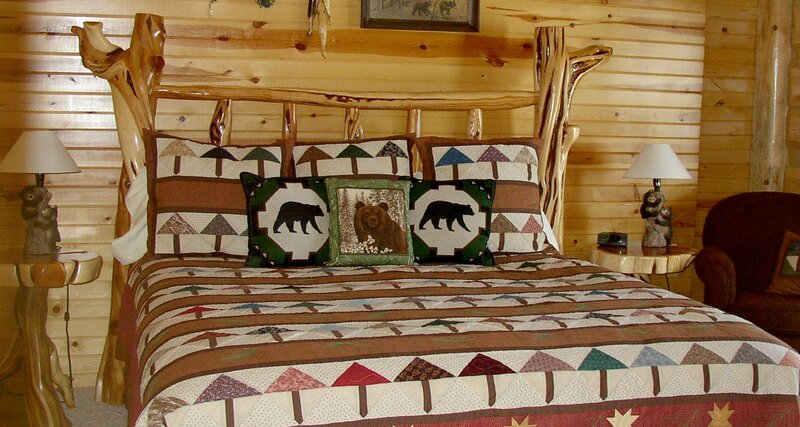 The Grizzly Den has a king bed with a sitting area and a lake view. 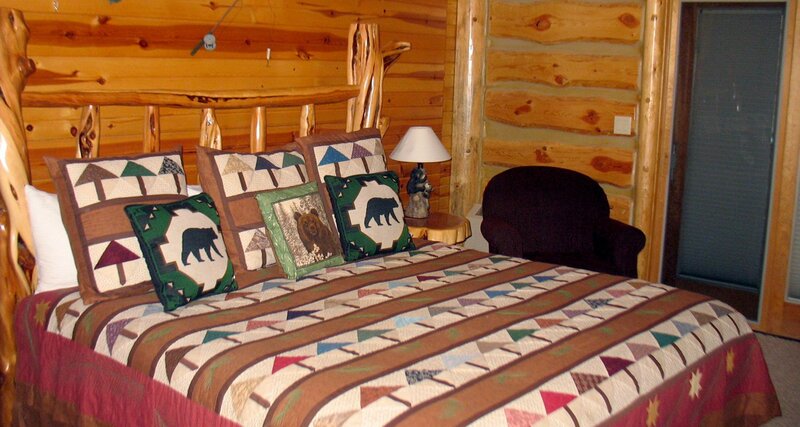 The room has a private bath and sitting area and is decorated with a bear theme. 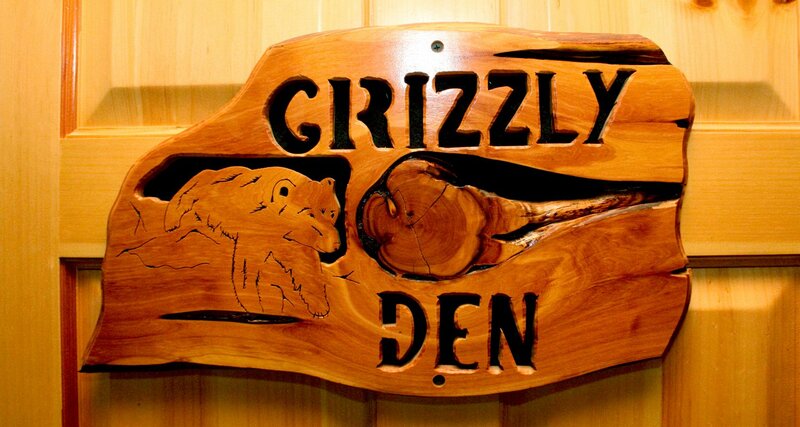 A photo of a real local bear checking out a carved bear holding an American flag is prominently displayed in the room. All of our rooms have direct access to the wrap around deck.